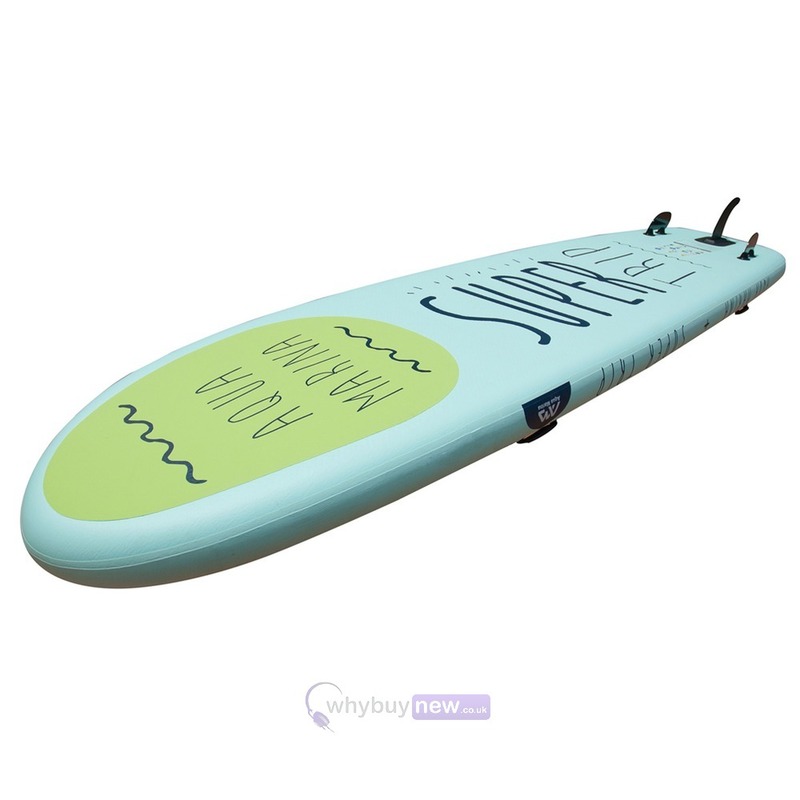 This popular Aqua Marina Super Trip SUP family sized paddle board is super sized and super fun for all the family. One of the most appealing aspects about the SUP is just how easy it is to do. There are not many water sports where the whole family can join in. The Super Trip extends the family fun to the next level with its extra length and width. 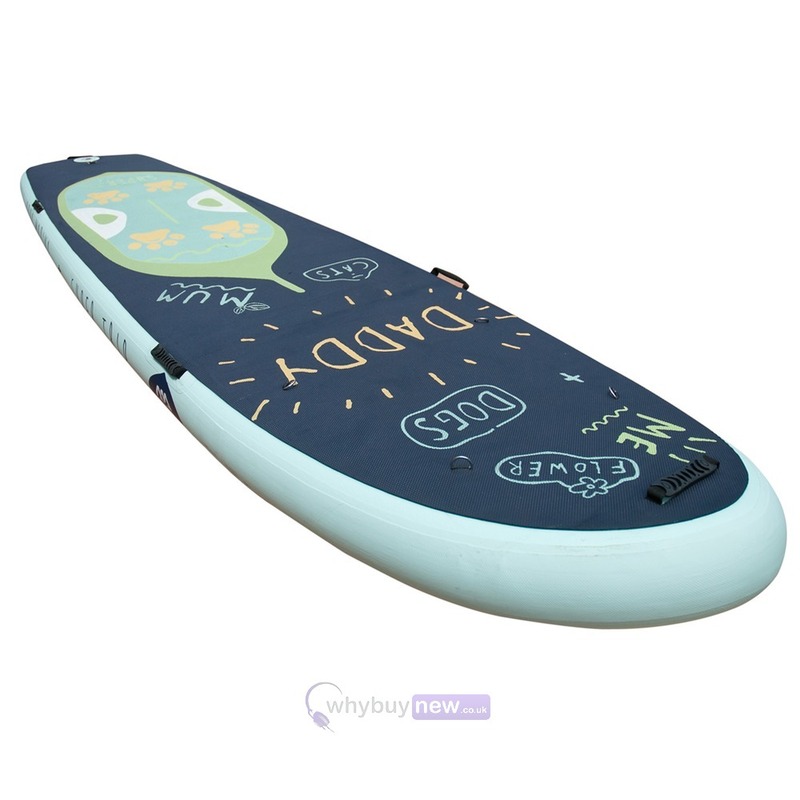 Designed for 2 adults +1 Kid this family stand up paddle board is a perfect rig for lakes, seaside, and rivers. A lovely mix of quick, agile and stable ideal for family use of for clubs. 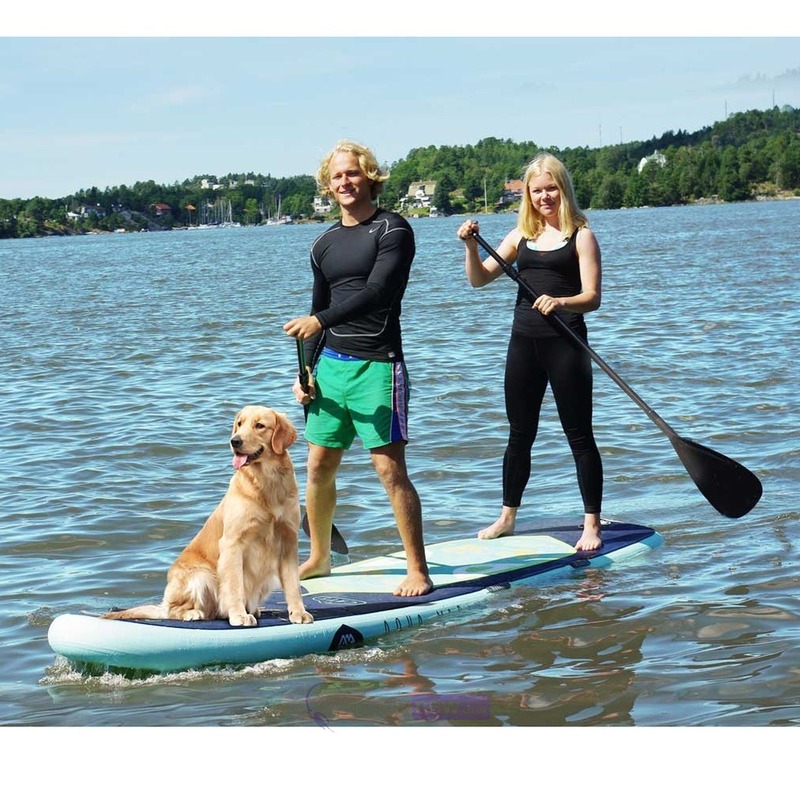 This paddle board is made from high quality materials. It features 6 durable double wall drop stitch core material and non-slip EVA deck in honeycomb patters for great stability, durability and maximum traction. There are stainless steel D-rings for the safety leashes and elastic cargo bungee cords so you can attach a bag to it if you paddle longer distance. 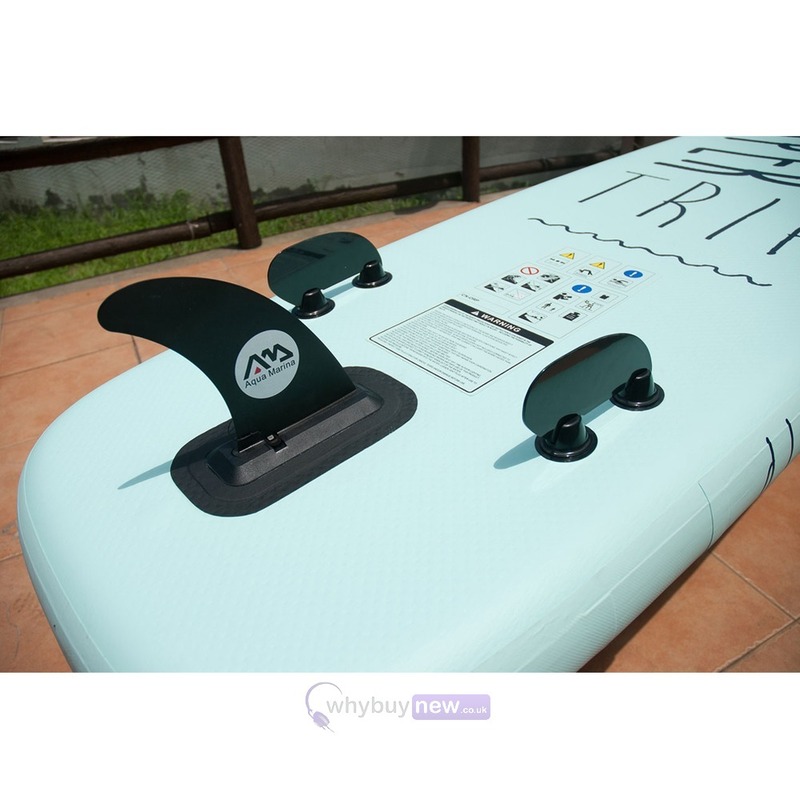 On the underside of the board you will find tri-fin system that will allow you to paddle in almost any water condition. Excellent to take on holidays and weekends away. 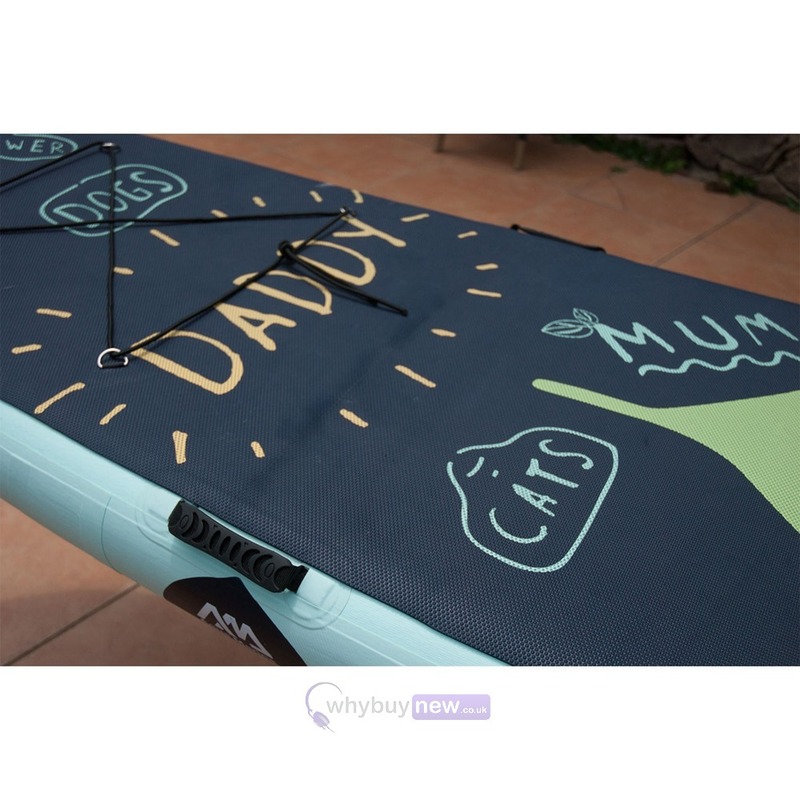 The paddle board folds into small compact size that will fit perfectly in the back of your car or can even be accepted as hand luggage on most of airlines. They are great fun and very simple to assemble.